As a busy work-at-home mom, I’ve come to realize that I tend to stand in my own way of success. Often, this comes in the form of excuses for why I can’t be better, or do better. 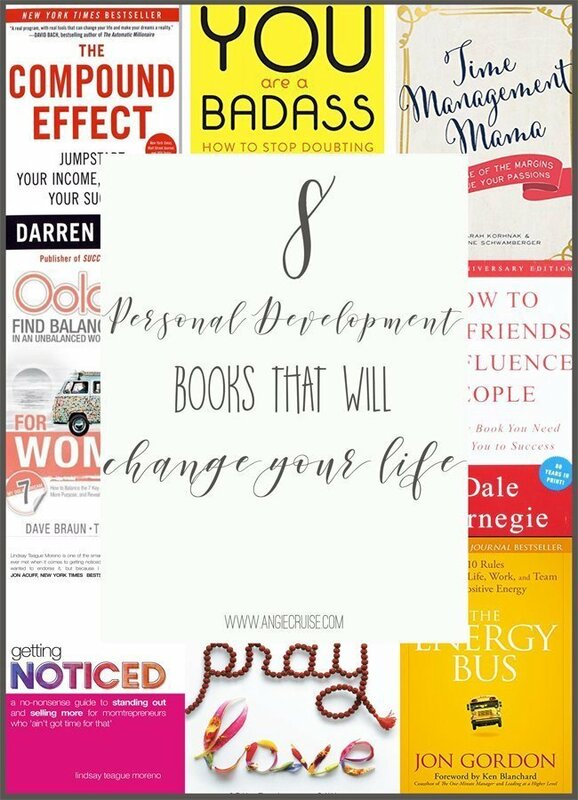 These personal development books are the ones that have pulled me out of that excuse cycle and helped me become a better version of myself. I’d love to share them with you! 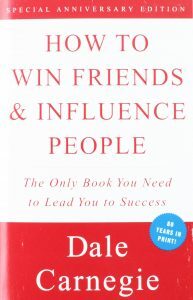 It should really come as no surprise that I’m a huge advocate for personal development books. I’m constantly talking about the importance of improving yourself and changing your habits in order to live your best life. I try to make it a goal of picking up at least one personal development book a month. Some, I forget immediately. A few just don’t sit well. And then others, well…others have a bit more of a lasting impact on my life. Those are the ones I’m going to share here today. 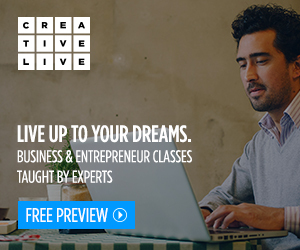 My hope is that they’ll inspire you and get you fired up to reach for that next big goal. I get asked a lot how I manage to do everything I have on my plate. 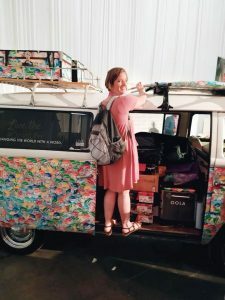 Between homeschooling the kids, staying on top of my yoga practice, managing our household budget and meal plans, and running a business, it’s a lot for any one person to take on! If you’re anything like me, you have a huge list of responsibilities, too. Most of us do. It can be easy to use that as an excuse to not make the time for self improvement, but this is when we need it the most. While we’re in the trenches. 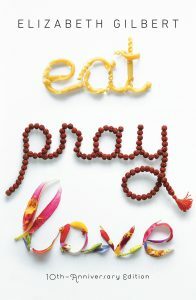 I don’t know who coined that phrase, but I do know that the first time I heard it a few years ago, it opened my eyes. I heard it during an incredibly overwhelming period in my life. My anxiety was the worst it’s ever been. My husband was gone for work all the time. And, I had decided, in the midst of all of that, to start a new business. This quote made me realize that my cup was empty. So empty. I wasn’t taking any time for myself, and it was starting to show. I’d lost my inspiration and my drive. Every day was just about survival. I knew something had to change. One of my core goals in life is to uplift and encourage others, and I can’t exactly expect to do that if I’m worn out and not taking care of myself, right? That is why I take the time for personal development books. They help me to constantly learn and grow in an effort to improve myself and help others. Too busy to sit down and read? One struggle I’ve had more recently is that my schedule is too hectic to allow me to sit down and actually read a book. By the time I find a quiet moment in my day, my brain is totally fried and my eyes are seeing blurry from working and taking care of kids all day. That’s why I signed up for an account with Audible. By listening to audiobooks on my phone, I’m able to soak up all of the personal development goodness during the day when I’m doing chores, going for a walk, or even in the car! I highly recommend it for all of us busy work-at-home moms with hectic schedules. Want to try it yourself? Click here, and get two free audiobooks today! It’s funny and written in a completely relatable tone. Jen doesn’t try to come off as the perfect role model in any way. 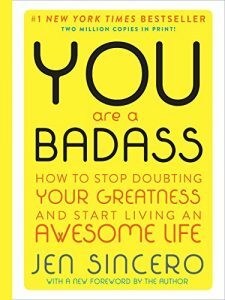 This book will totally kick you into gear and inspire you to set some big goals and race towards them. I realize this book isn’t entirely personal development, but there’s just something about watching another person’s journey to self discovery that is so inspiring. This book made such a huge impact on my life. Reading through her journey really made me want to create the life I’ve always wanted. This book is one I think rises above current trends. The advice is timeless, and while a lot of it seems pretty obvious at first glance, I sometimes think that’s what we need. This book has advice on making a good first impression, give constructive criticism, becoming a good conversationalist, and so much more. If you’ve ever struggled with communication or forming business relationships, I highly recommend giving this book a read. “We are what we repeatedly do.” The results you get in life are a direct result of your daily habits and this book will help you get to the root of those habits and make sure the things you repeatedly do are things that will help you reach greatness. The main premise of the book is that slow and steady wins the race. I love that, because as a chaser of big dreams, I know that reaching my goals will take a lot of time. 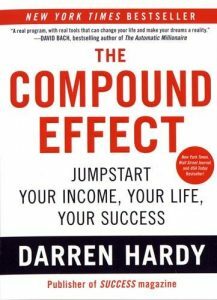 This book helped encourage me to show up day after day, year after year, until I finally achieve those goals. We live in an energetic world, and the energy we put out there is the energy we attract. This book is all about focusing on positive energy, and attracting positive things into our lives. Not going to lie. This book is a little corny the way it’s written. 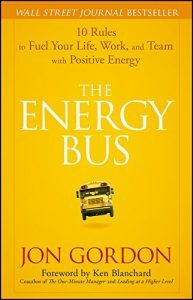 However, the rules given in this book, along with the reminder that you are in charge of your bus, are great daily reminders for anyone. 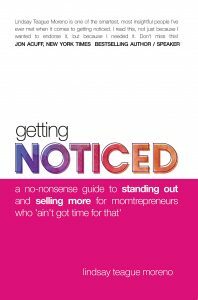 Getting Noticed is a business book, rather than strictly personal development, but it’s still one that changed the course of my business. It’s a must read for any entrepreneur who does a lot of business on social media. 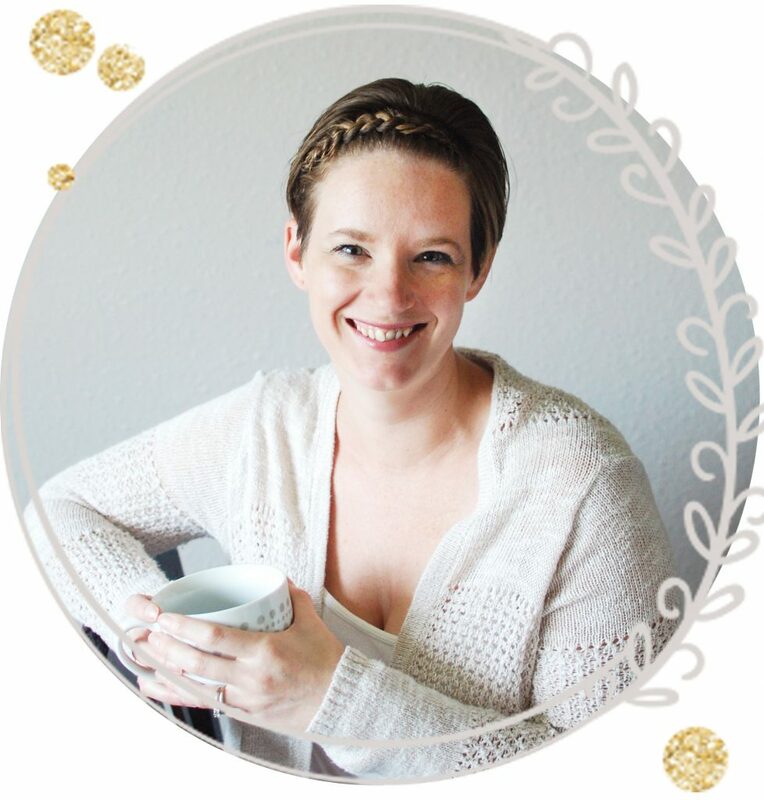 She gives lots of advice on how to stand out from all of the “noise” on social media. Fun fact: LTM is actually in my Young Living upline! Super cool. I’ve heard her speak at events and came away with so much inspiration. This chick really knows what she’s talking about when it comes to marketing! Do you ever feel like your life is just out of balance? Like no matter how hard you work, you’re just not getting anywhere? The whole concept of OOLA is to live a life that is balanced in the 7 key areas: faith, family, fitness, fun, field (career), friends, and finances. If one of these is “flat,” it will affect every other aspect of your life. I stumbled upon this book completely by accident. It came as part of a bundle of blogging courses I purchased a few years ago, and the title caught my eye. The concept of this book is that, as moms, we don’t have a lot of time to pursue our own passions. 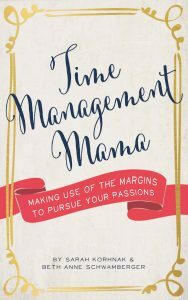 So many of the productivity and time management books out there are written by men with the perspective of being more productive at work. This book offers a fresh take for those of us mamas at home. The advice is geared towards those of us who don’t have an uninterupted 8 hours a day to work our businesses, and helps us make better use of those margins of time we do have. It’s super affordable, and a really quick read. 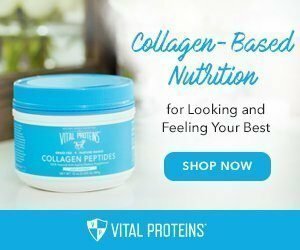 I recommend it for any moms out there working from home! There you have it. 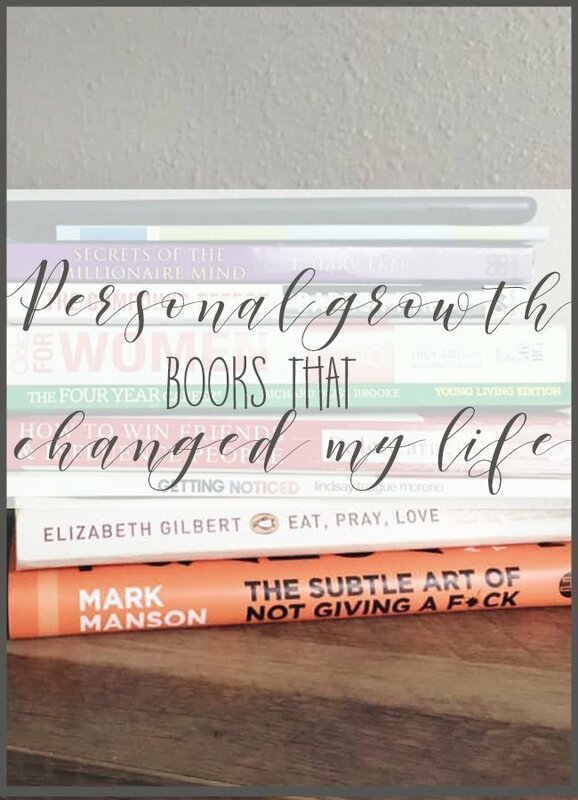 The personal develpment books that have (so far) made the biggest impact on my life, my relationships, and my business. Do you have a favorite that’s not mentioned here? I’d love to hear about it!